This feature is available on our 2.4.1 release. Imagine that you publish an ad but people that are interested in contacting another department within your company but not your add. 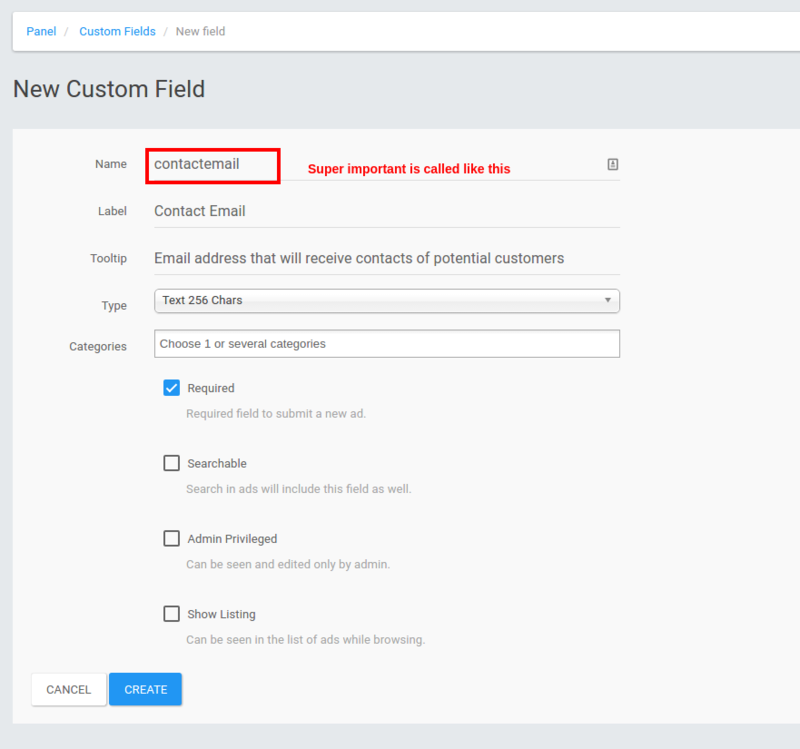 You can create a custom field for this specific purpose. If you don’t know how, you can follow this guide. For that you can create a custom field. If you don’t know how, you can follow this guide. This custom field needs to be called contactemail. If that field exists emails will be sent to that address instead of the user’s email address. How to force registration before posting a new ad?